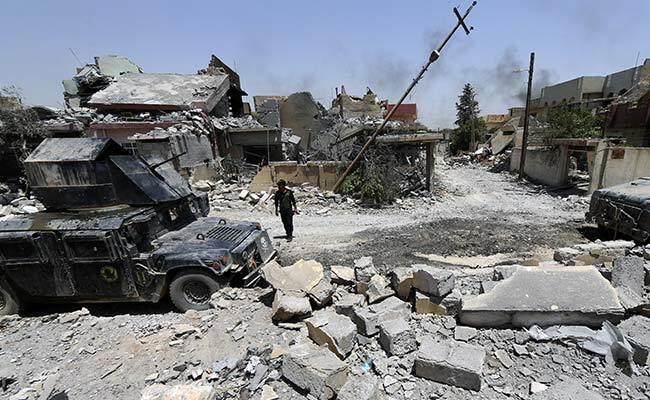 It has been over three years that 39 Indians, mostly from Punjab, went missing in Iraq's Mosul town when it was overrun by the Islamic State. Their families here continue to swing between hope of the men being found alive and fear that they will hear the worst. Chandigarh: The families of the 39 Indians who went missing in Iraq's Mosul in June 2014 have been asked to provide their DNA samples, but no reason has been given, the kin said on Saturday. The families of some of the missing Indians from Amritsar district were on Saturday asked to come to the Government Medical College in Amritsar to give DNA samples. However, the samples were not taken on Saturday. "We were told to come to the Government Medical College and provide DNA samples, We have no idea why this is being done. We have not been told anything. We got a message from the SDM office regarding this," Sarwan Singh, whose brother is among the 39 missing Indians, said. The families have been asked to come back on Monday to provide the DNA samples. "No one from the administration is telling us why the DNA samples are being collected," a woman relative of one of the missing men said. After Mosul was freed from the clutches of the Islamic State in July, there was hope that the missing Indians will be found. However, Iraqi Foreign Minister Ibrahim al-Jaafari, during his India visit in July, said he was not sure if the men were alive or not. External Affairs Minister Sushma Swaraj had earlier assured the families, who have met her several times, that all efforts were being made to trace the missing men, who had been held hostage in Iraq's Mosul town by terror outfit ISIS in June 2014. The affected families, who are all from poor backgrounds mostly from rural areas of Punjab, say they can do nothing else but pin hope on the government's and the minister's assurances. A man from Punjab, Harjit Masih, who escaped from the clutches of ISIS in June 2014 had claimed that all 39 Indians had been killed. However, Sushma Swaraj has maintained that there was no information confirming that the Indians were dead.